...which did wonders to relieve their anxiety, and took the emphasis off the answer, and put it on the process. Disjointed. Pointless. Teaches nothing. Brain need not engage. Follow some procedure whether you know what you are doing or not. Kids either refuse to participate in the charade or tolerate it. They might be tolerating it with sweet, deceiving smiles on their faces, but they are not relishing it as a learning opportunity. Believe it or don't, but you get a much different reaction from a kid, who has the appropriate background, to a worksheet like this. A narrowing of the gaze. Quiet focus. Murmuring and grunting. Meaningful questions. I'll leave it as an exercise for the reader to think about why it's better. That's not really the point I want to make right now. Propogating the myth that All Worksheets are Bad isn't just unhelpful, it's harmful. It has led to a situation where we think Good Teachers Don't Use Worksheets and Bad Teachers Use Worksheets. Textbook companies are putting out crap. Grad programs aren't showing new teachers how to make good ones. Argue all you want about what public schools should look like, but in the schools we have in late 2009, I am looking at 30 kids for 45 minutes a day, sitting in the available chairs at the available desks. Some of them have a cell phone, a subset of those get reception in my room, some number could bring a laptop every day if we asked them to. But they all have a pen or a pencil, and none of them want to waste their time. This reality means I must, inevitably, find or make paper materials to put in their hands. If I believed all worksheets were bad, and using them made me a bad teacher, I would eventually print out some garbage provided by the textbook, close the door, and keep my head down. Thankfully I spent my first couple years, before they retired, around some very wise mentors. 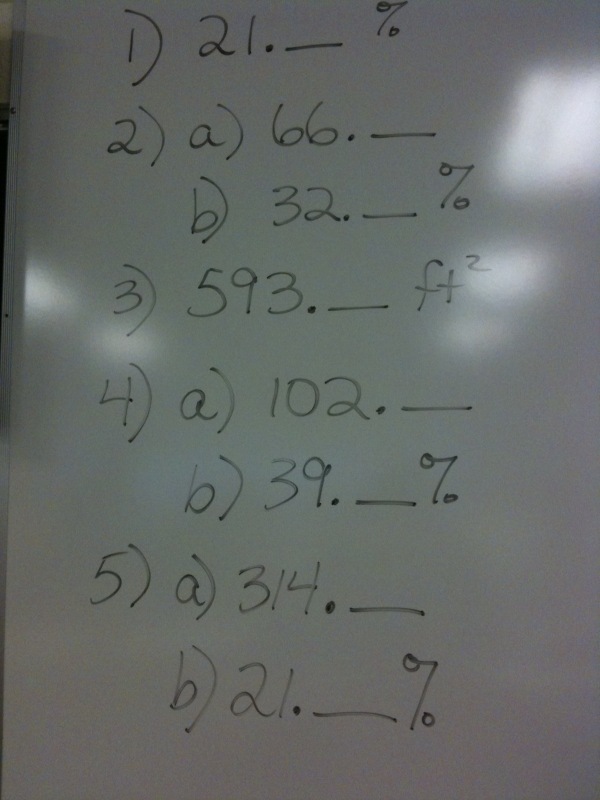 Here is that exponent worksheet if you liked it. My deep and abiding appreciation for low-risk opportunities for kids to screw up can not be overstated. The supremacy in many classroom implementations of computer/calculator technology over paper is in the availability of the undo command. The flow of an optimized activity of this sort is try it, screw up, be surprised, talk/listen, learn, try again. I know I know...in other news, water is wet. With that in mind, I bring you...Transformation Golf. The directions are "Get the blue shape to match the green shape." Shots are taken by commanding your dynamic geometry software to perform line reflections, transformations, rotations, and dilations on the blue shape. The early holes start with one-offs, and later holes require compositions of transformations. Accountability and notation practice come from having the students write down the specific transformation they used for each shot. There are deeper conversations to be had about how to decide par for particular holes, and for any hole. But, still, the beauty is in the undo button*. I wrote this a few years ago, before I knew about Geogebra. So, the golf game file and the associated instructions use Geometer's Sketchpad. Perhaps some industrious soul will adapt it to Geogebra and share it with the rest of us. *This paragraph was brought to you by The Passive Voice. OK I know this is both paternalistic and heterocentric. 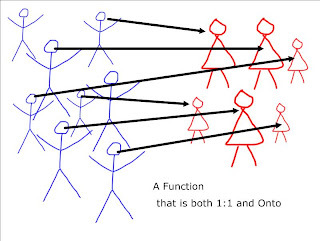 However, if you need a good way to demonstrate Function, 1:1, and Onto, "A School Dance" gets the job done. I give them a sheet with these slides and ask them to conjecture about the definitions. If you follow the instructions from Post 1, you should have a drawing on your calculator screen. If you plotted points in Quadrant I, and set your window from -10 to 10 in both directions, the picture is in the upper right quadrant of the graphing window. Now we want to take our picture and transform it using the lists. For example, let's say I want to reflect the picture over the y-axis. 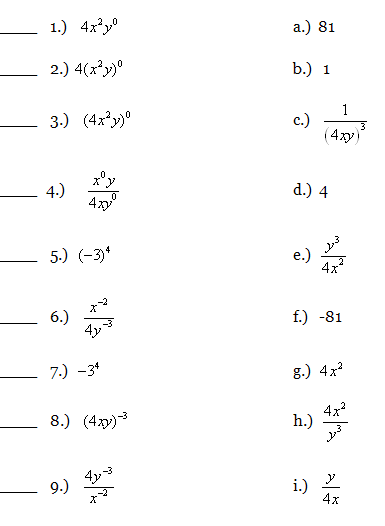 Instead of graphing (x, y), I need to graph (-x, y). Go back to the lists in STAT, Edit. Put the negation of L1, the x-coordinates, into L3. You don't have to type them all separately. With the cursor, highlight the list title L3. Then type the negative sign (-) and L1 with 2nd, 1. Then Enter. It should automatically populate L3 with the negation of every value in L1. We still need to graph (L3, L2) to graph the reflection. Go to 2nd, Y= (STAT PLOT). Turn on Plot 2. Now use L3 for the XList and L2 for the YList. 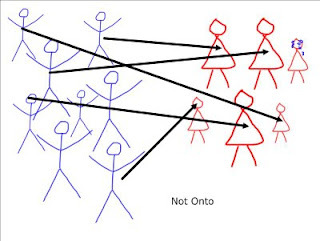 Press GRAPH. You should see both your original picture, and its reflection over the Y-axis. You can plot any transformation you like now by using L4, L5, and L6 in the same fashion. Plot (-L2, L1) for a Rotation of 90 degree counterclockwise. Plot (-L1, -L2) for a point reflection through the origin. Plot (L1, L2 - 10) to translate the picture down by 10 units. Etc etc. This part is optional, but it is nice to add some text, like your name, if you are going to use the drawing as the start-up screen for the calculator. If you are not already there, go to the GRAPH screen. Press 2nd, DRAW, and arrow down to "Text". Press ENTER. You will see a flashing cursor on the graph screen along with your drawing. Use the arrow keys to move the cursor to where you would like to start typing. Hit 2nd ALPHALOCK to put the calculator in alphabetic mode. Start typing your text. If you need a space, it's above the zero key. Press ENTER when done. If you mess up, you can't delete mistakes. Unfortunately, you have to start over again. To start over, go to 2nd DRAW and select ClrDraw. Go back to step 1 in this section. Once the picture is complete, press 2nd DRAW. Arrow right to STO and select StorePic. You should see StorePic appear on the home screen with a flashing cursor. You must enter a number between 0 to 9. I suggest you use a number other than 1, because many programs use 1 to temporarily store graphics. If that happens, your beautiful drawing will be overwritten. For this project, let's enter a 5. Once you type in a number, press ENTER. Your design is now saved in PIC5. You need the application in the APPS menu called Start-Up. If you don't have it, you can get it from someone else with a link cable. Or, you can download it from ti.com to a computer, and download it to your calculator with the computer link cable. If you have Start-Up, launch it from the APPS menu. Under "Choose Settings" turn Display ON, Type PIC, Name PIC5, and whatever Time you like. 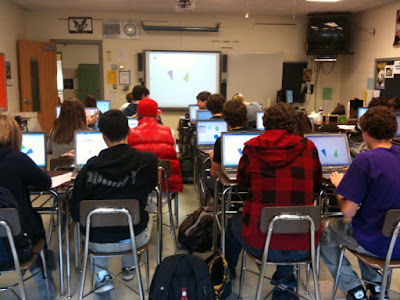 From the Geometry class blog. This project is pretty popular, and has been making the rounds with TI trainers for a while. This first post describes how to get the picture into the calculator. The next post will talk about transforming the picture, and using the final drawing as a start-up screen in a TI-83 or 84. On graph paper, create a simple design that can be entirely drawn without picking up your pencil. You may want to trace a cookie cutter or a stencil. Enter the x-coordinates of all points in L1 and the corresponding y-coordinates in L2. 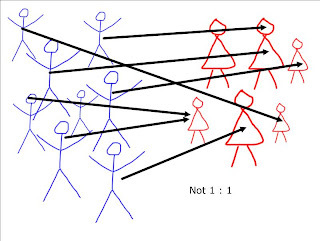 Enter them in the order you want them connected. If the design is a closed figure, you have to enter the coordinates of the starting point again as the last point. 5. Press WINDOW and set both x and y from -15 to 15. You may have to adjust this later. 6. Press 2nd FORMAT and highlight "Axes Off". 7. 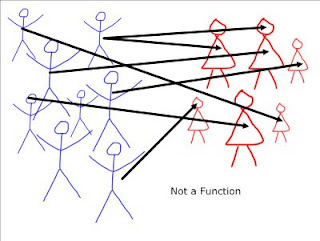 Press GRAPH to hopefully see your picture. The next step is to use L3, L4, etc to draw transformations of your graph. I'll pick it up from here in the next post.